At Call Locksmiths can supply and install a new door while also recommending additional options for giving you the most secure door replacement solution for your home or business. Security is never an area where you should try to cut corners as the only time you’ll want the most security there is, is when it could be too late. 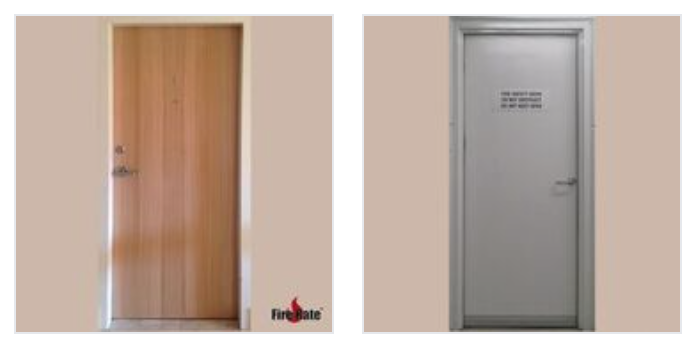 We stock a range of doors in various materials and sizes, and we are able to help you find the right one for your situation, installing it quickly and within your budget. We have a variety of door replacement options to suit your needs, increasing the security of your home or business in the process. Why Should You Get A Door Replaced? The most common reason to replace your door is that it is damaged and not functioning properly. And this could be for any reason; from a storm, attempted burglary or even just wear and tear. In older homes, maintenance with doors shifting in their frames is quite common. Replacing the doors is a great way to maintain security on a home where its existing doors aren’t functioning as well anymore. Many customers have doors that work perfectly fine, but they may want to upgrade to something more secure for giving themselves a safer home. This is a great idea, and we are always happy to help suggest ways to increase the security of your home or business to accomplish that. This increased protection will give you peace of mind. Contact At Call Locksmiths in Sydney to discuss any upgrades you are considering, and call us even sooner if you have a damaged door that is no longer operating properly. We are available 24/7 with our mobile service to respond to any emergency requests you may have. When it's time for a door replacement, it is also a good time to consider an upgrade for added protection and security. At Call Locksmiths offers the highest-quality door services in Sydney and we can help you upgrade to a more secure option. Get in contact with us at 1300 242 255, and we can assess your current situation and then recommend other options for your consideration. Providing increased security for your home or business is our number one priority, and we have a range of materials that we are confident will help you feel safer in your space.